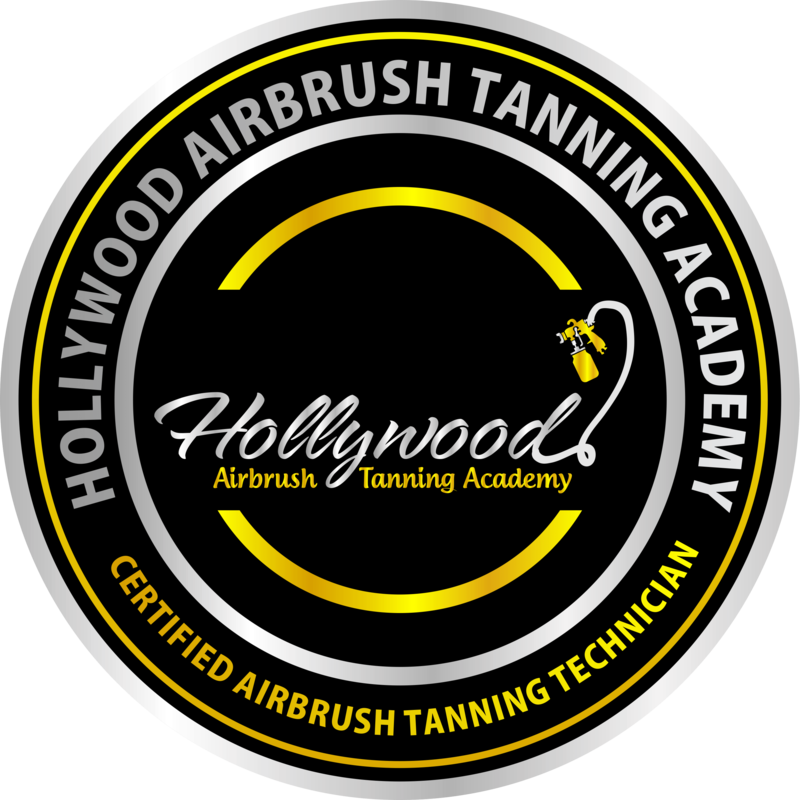 Welcome to the Hollywood Airbrush Tanning Academy online e-learning program. This program will allow you to study airbrush tanning at your own pace. 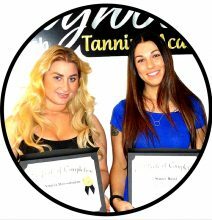 We have the Basic Airbrush Tanning Certification with many different lessons which consists of 3.5 hours of video training. These are topics and issues you need to know in order to start your own airbrush tanning business and will help you understand the magic behind matching formulas to different skin types. You will also learn about the different spray tanning machines on the market and all kind of different solutions and products available. The Basic Airbrush Tanning Course is for those students who sign up for the online video conference training as well as for students who sign up for the hands-on training at the academy and this course must be completed in full before coming to the class. 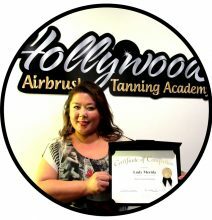 After completion of the Basic Airbrush Tanning Course and the online or hands-on Airbrush Tanning Class, you will get access to many more information such as reminder videos to remember spray tanning technique, settings of the spray gun, how to clean your spray gun, client handouts and so much more. When you click below you will have access the information to all the materials after you completed the online or hands-on class. Please note that you will not have access to this information until you have completed the online or hands-on airbrush tanning class.